MBLAQ member G.O tweeted on his Twitter account on June 3rd, 2012, “Brother Ji Sub who looks handsome even by men!” And he uploaded a photo. 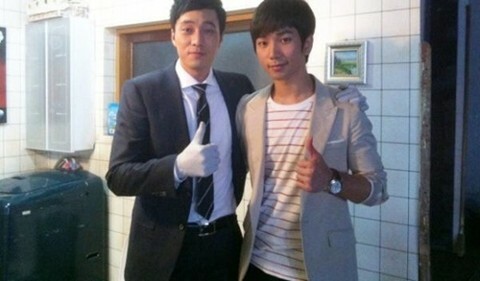 Currently, G.O and So Ji Sub are currently starring in the SBS drama “Ghost”. Netizens commented, “Proof of small head of So Ji Sub,” “They shine standing together,” and so on.